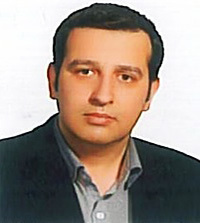 Dr. Mohsen Janipour, a Postdoctoral Researcher in Prof. Kürşat Şendur’s research group at the Faculty of Engineering and Natural Sciences, received the prestigious Humboldt Foundation Georg Forster Research Fellowship. With this award, Dr. Mohsen Janipour will continue his research activities in Germany. We wish Dr. Mohsen Janipor further success in his future career.